Spain’s popularity as a retirement destination for Brits continues a pace as the Iberian nation takes the top spot for British retirees according to a study by annuity provider MGM Advantage. Despite the Eurozone crisis, Spain continues to dominate as the destination of choice with France, Ireland, Cyprus and Australia also making it into the top five. 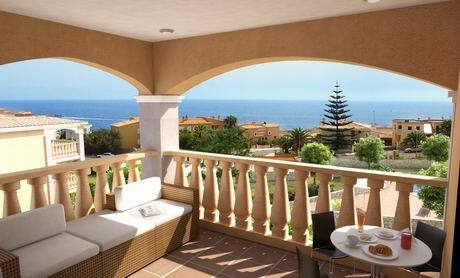 Whilst it cannot be denied that Spain, like the rest of the world, has been hit hard by the global recession and house prices have declined but with the strength of sterling against the euro this has presented lucrative opportunities for British buyers today to purchase their ideal home in Spain for less. With this in mind, Mr and Mrs Haase from Brandenburg, Germany purchased a 2 bedroom, 2 bathroom apartment with terrace, garden, large pool and direct sea access at Taylor Wimpey España’s biggest success story of the year – Cala Anguila, Mallorca and are completely happy with their purchase. “The reason we chose Mallorca was because not only is it an EU country, close to Germany – just 2 hours flying time but it has a very good climate where we can get some sun and relax. Something a little hard to do in Germany! Some people might wonder if we’ve been put off by the current economic climate in Spain but for us, buying property here was more about the lifestyle Spain affords than anything else. 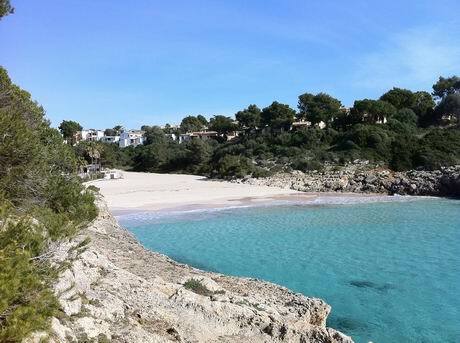 For house-hunters like Mr. & Mrs. Haase, looking for high quality affordable property suitable for family living, Taylor Wimpey España has some excellent properties on offer in Spain at only 4% VAT until the end 2012, for example Cala Magrana III.